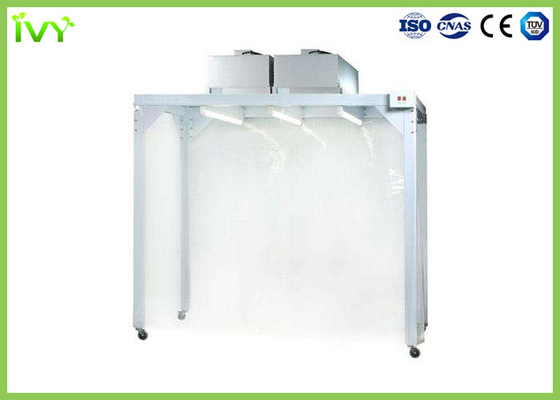 Clean booth(simple clean room) is a simple clean room which takes the shortest time and effort to install, we can manufacture clean booth with different cleanliness class and size according to customers’ requirements, so the most typical feature of clean booth are:Easy to operate, install, short time to construct and movable. 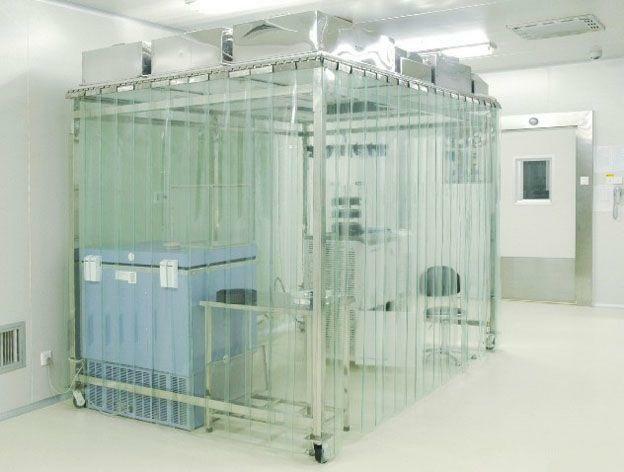 Clean booth is also can be used in clean room (with low cleanliness) where high cleanliness is required to reduce cost. Clean booth is an air purifying equipment which can provide purified air with high cleanliness for partial area. It consists of frame, FFU, pre filter, damping layer, lamp and others. Clean booth can be suspended, or floor stands. It can be used independently or can be assembled to be a clean area. Cleanliness Grade Up to class 100(Standard FS209E)as per customers' requests. Support Material SS201/SS304 stainless steel square support,aluminum alloy profile,or anti-static spray cold rolled steel support.